A Gorgeous cold shoulder crochet detail top. 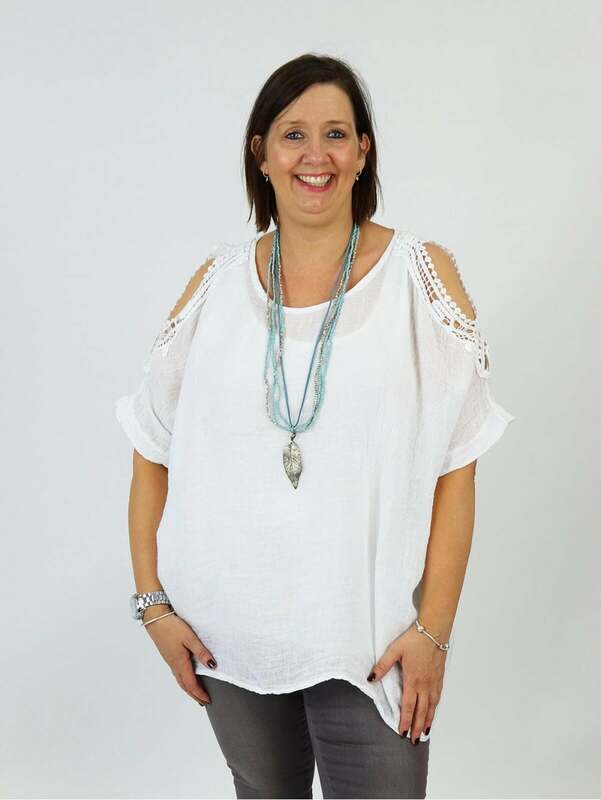 The Made In Italy Sandown Crochet Shoulder Linen Top is crafted from beautiful lightweight linen and features a classic round neckline with batwing sleeves.Style with some jeans and wedges and you are good to go! I think this could be a 'grab to throw on' top a lot this summer! It does need a cami under it as it's quite a fine linen but it will be one that gets better with age I'm sure .